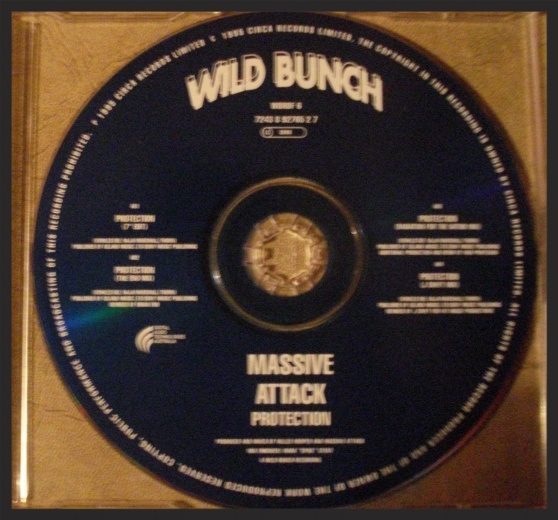 Notes: The disc itself contains The Wild Bunch logo along with full writing/production/copyright info, much like the majority of releases from Blue Lines and Protection. 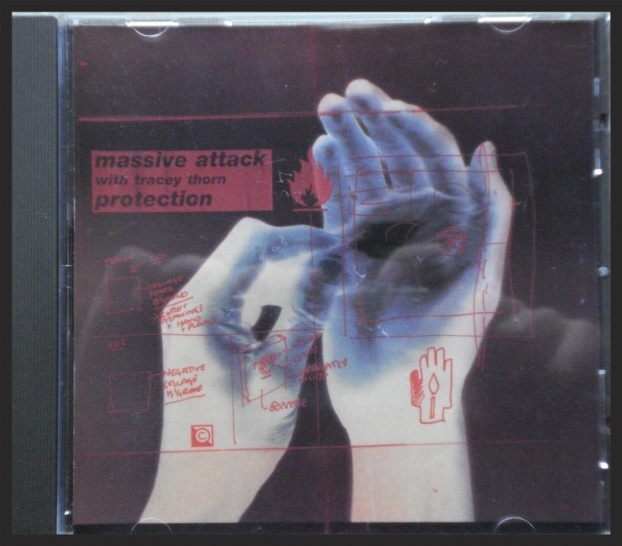 Notes: The other two singles from the album Protection, Sly and Karmacoma also received European single releases like this one. 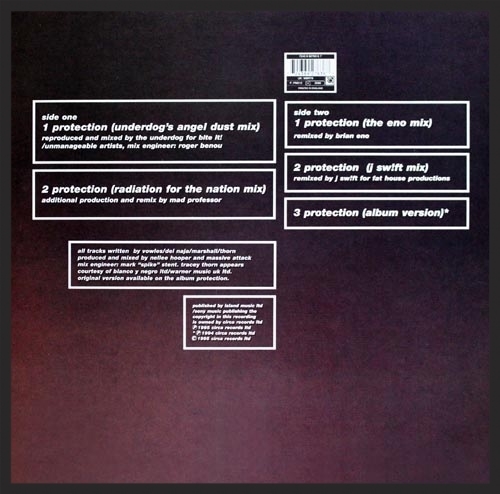 Notes: The other two singles from the album Protection, Sly and Karmacoma also received European single reissues like this one. 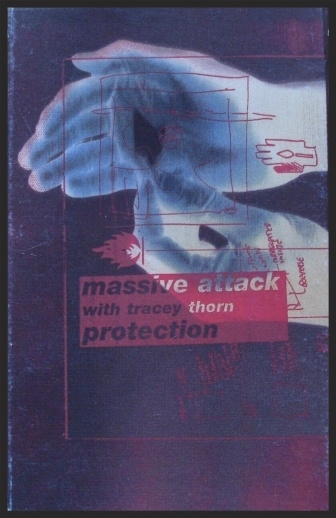 Notes: The other two singles from the album Protection, Karmacoma and Sly also recieved USA single releases like this one. 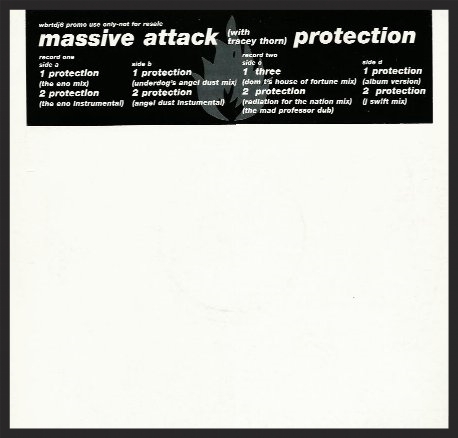 Unlike every other retail version of the Protection single, this release contains the duration time for each track on the back cover. 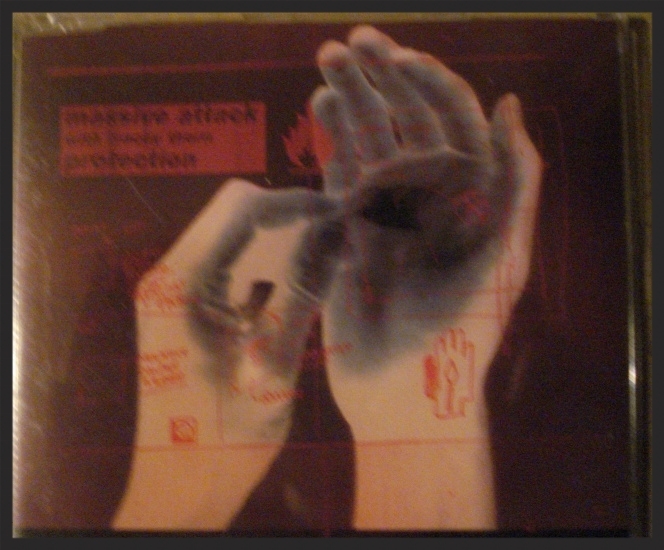 The Single Edit on this disc is the exact same as the 7" Edit. 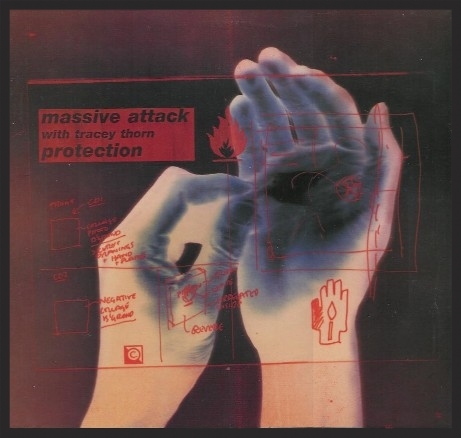 Notes: Even though this has the same catalogue number as the European single release, both the disc and sleeve were manufactured in Australia. Apart from this particular version, Sly was also released as an Australian single as well. 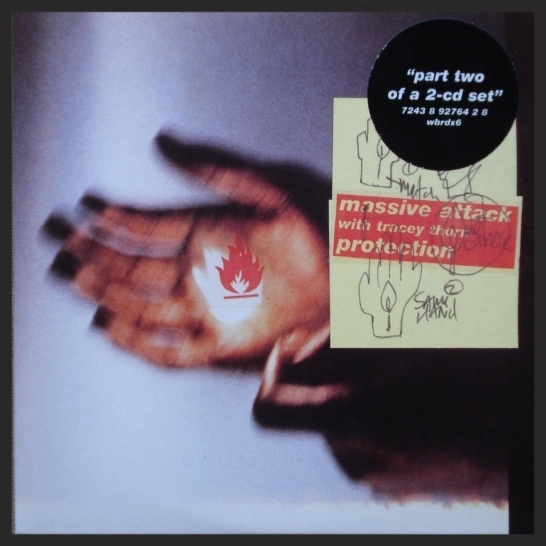 Notes: Standard vinyl with a inner groove which contains The Wild Bunch logo along with full writing/production/copyright info, much like the majority of releases from Blue Lines and Protection. Notes: As you can see from the tracklist, Side A and Side B are identical. 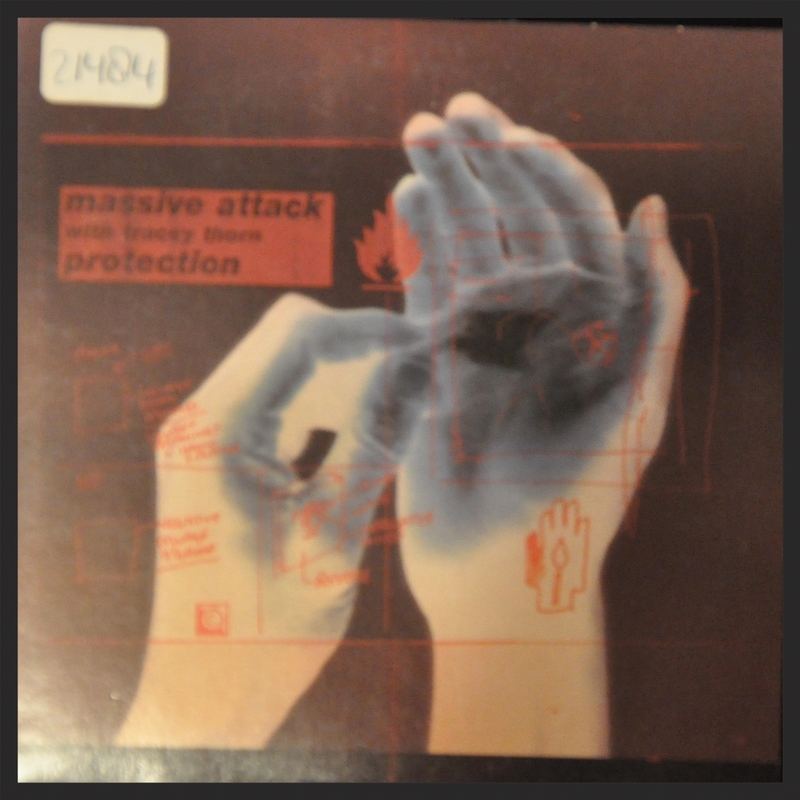 Notes: The Edit version on this promo is unique to every other version of the Protection single. Notes: This 7" jukebox promo was intended for only radio station DJ's. 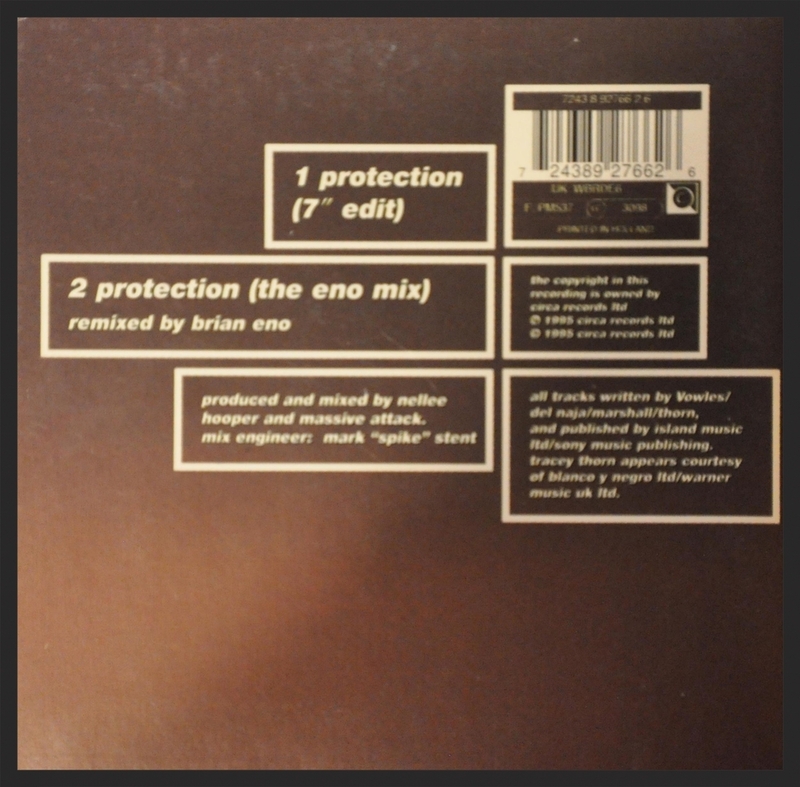 Notes: This promo vinyl contains a few remixes which are unique only to this release. Notes: This is a in-house production copy from Virgin Studios.